Today, The Garden Club of Santa Barbara joined the Santa Barbara Museum of Natural History for a planting party in preparation for the Museum’s Butterflies Alive! exhibit, opening on May 21, 2016. Flowers and plants from local nurseries were carefully placed to create a lush oasis to serve as the butterflies’ new home. Although this was not The Garden Club’s first time lending their expertise for the occasion, this year was special because both organizations are celebrating their centennial year. 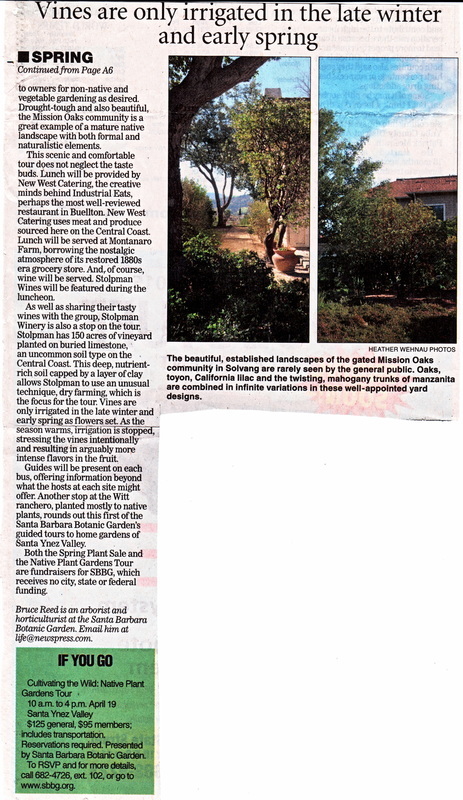 The Garden Club of Santa Barbara is a non-profit volunteer organization and their generous donation of time for this event just so happens to fall during National Volunteer Appreciation Week. 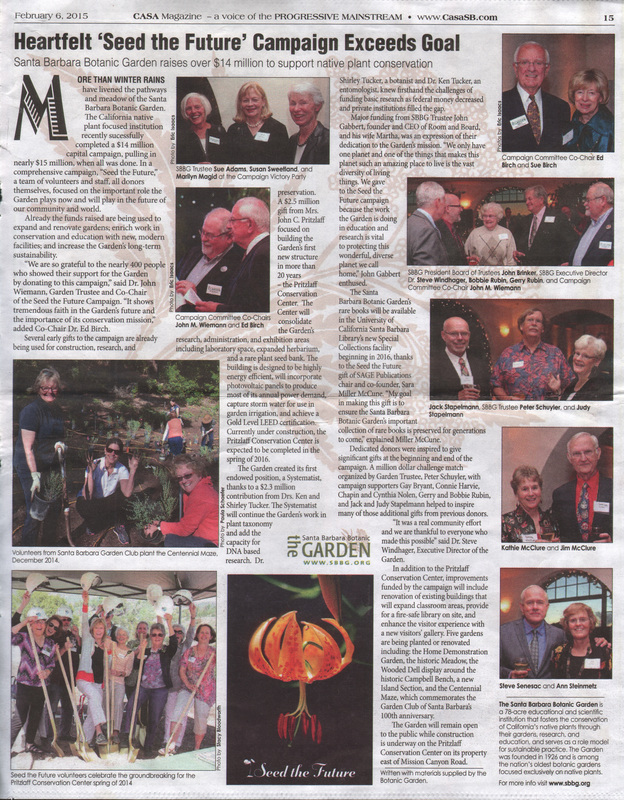 This makes it no surprise that last year The Garden Club was recognized with the 2015 Hope Award for Service to the Community. Founded in 1916, the Santa Barbara Museum of Natural History reconnects more than 100,000 people each year (including their 5,700 members) to nature indoors and outdoors. Uniquely nestled in nature, the Museum is located along Mission Creek in the Mission Canyon area. The Museum has ten indoor exhibit halls focusing on regional natural history including astronomy, birds, insects, geology, mammals, marine life, paleontology, plant life, and the Chumash Indians. Also, the Museum is home to the only full-dome planetarium on the Central Coast, a research library, and the John & Peggy Maximus Art Gallery. The Museum’s outdoor exhibit experiences include a nature trail, the Chumash Sukinanik’oy Garden, The Museum Backyard & Nature Club House, the Butterfly Pavilion, and a real 74-foot Blue Whale skeleton. The Museum’s outdoor nature experience continues down to the Pacific Ocean at its Sea Center located on the historic Stearns Wharf. The Sea Center offers nearly 100,000 visitors a window to ocean life in the Santa Barbara Channel through its interactive exhibits and close-up, hands-on encounters with sea creatures. Beyond exhibitions, the Museum offers science education programs for adults and children, preserves a collection of more than three million specimens and artifacts, and maintains ongoing scientific research. The Museum’s mission is to inspire a thirst for discovery and a passion for the natural world. For information about the Museum visit www.sbnature.org. 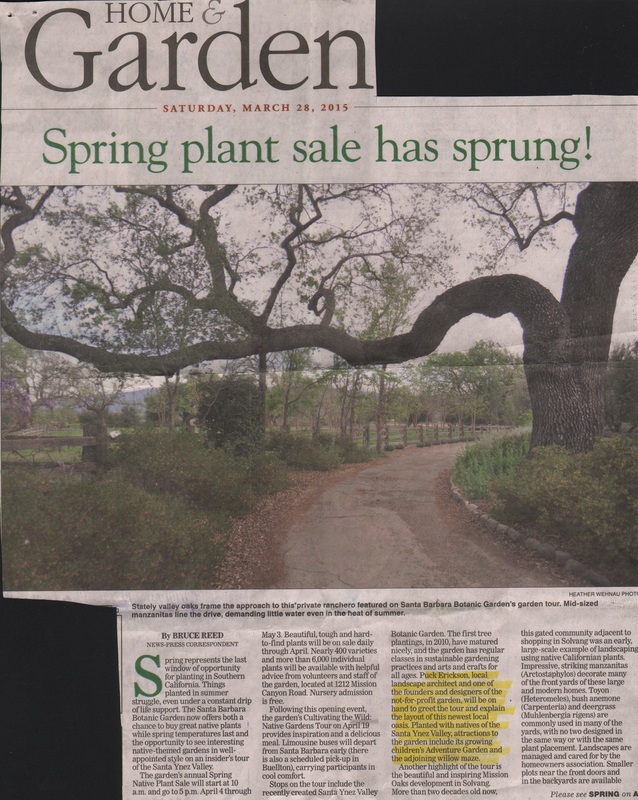 Santa Barbara Botanic Garden: "Casa Magazine"
Garden Club Member Puck Erickson, local landscape architect. is one of the founders and designers of the not-for-profit garden.